And Claire’s life is a part of that game too…. She is a guardian angel. She always thought that her existence was perfect. But perfection is a very relative term, and no one is protected from making mistakes. The words they have never said before …. Or maybe even the heavens make mistakes?.. I love all of Diana's books so i couldn't wait to read this one. I had high expectations for this book because of how amazing Diana's bother books are and this book was far beyond my expectations. Claire is a guardian angle and not just any guardian angle but one of the best! saving the lives of humans from demons for hundreds of year and her new assignment a car racing , alcohol drinking , smoking party boy fueled by adrenaline risk taking. But Claire's life starts to get a little crazy when Alan can see her in her true form. When secrets about the heavens battle with hell start to emerge Clair is confused about who she can Trust, with a secretive, sly assistant around her, a fallen angel helping her, her powers changing and her feelings for Alan boarding the forbidden line Claire's life is in turmoil! 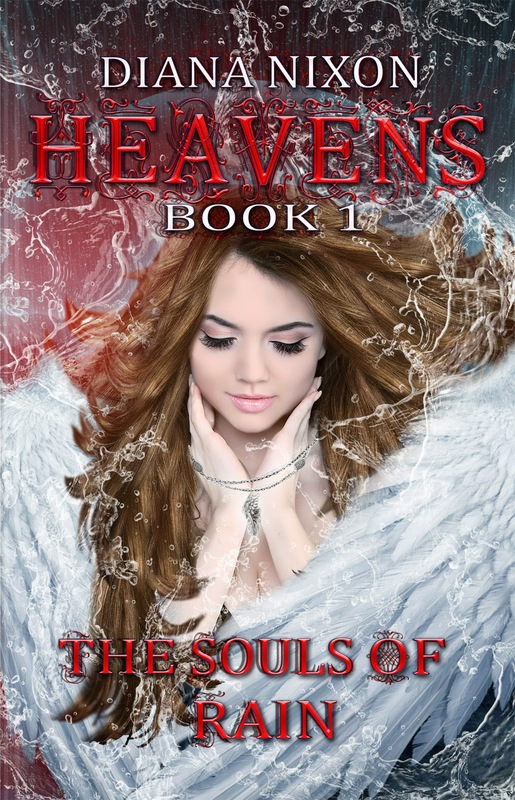 with secrets about her past coming out will she be able to save herself from hell and stay in the heavens or has hell got its mark on her? What can i say but wow wow wow! I was not expecting that. This was the first book i have Read about Angels and i loved it! As always Diana as spun a magic story of suspense, mystery and love. The story was amazing it was like nothing i have ever read! The plot was exceptional, normally i can guess the plot of a book but with this book you are constantly guessing you are given little bits of information like clues along the way but they don't make sense until the end , i was sat for the who book not knowing who to trust everyone seemed to have there secrets and motives, you are just hanging on the edge of you seat the whole time not knowing what is going to happen. its like a story of forbidden fruit! you are hoping the characters will end up together and trying to find ways to bend the rules but no that the situation is hopeless and i think that entices you in even more. In true Diana fashion the ending is a massive cliff hanger i was sat just going ' no! you cant leave it like that' i can not wait for the next book so i can see what happens next! Diana is my favourite author and i love all of the books she has written but i can not decided if this has been my favourite book yet. I loved all the characters in the book. Claire is an amazing female lead, she is strong, brave and witty. everything you would want from a main character . I like how throughout the book you can see her life changing and the emotions that go along with it, including the vulnerability. Alan is an amazing character, i love how you see the harder side of him at first but see him come out of his shell the longer he spends with Claire, i enjoyed watching there relationship start to play out. Nolan was an amazing character he had me laughing the whole way through the book. Amazing, mystifying, suspense and Magic! A story of Love worth fighting heaven and hell for! A true masterpiece! I cant praise it enough!